Words by Kevin Doocey on August 16, 2013 . The general mood among Newcastle United fans is one of pessimism, anxiety, and anger. The failure to add any solid signings to the squad makes Joe Kinnear’s appointment as director of football look like a farce. Mind you, it would not be the first time one labelled it exactly that. One day we’re after Bafetimbi Gomis, the next Kinnear is watching Belgium take on France in an international friendly. More importantly, besides an injured Loic Remy, we will head to Manchester City for our first game of the season with smaller squad than we finished last season with. James Perch, Steve Harper, Adam Campbell have all went their separate ways. Admittedly it’s tough to remain optimistic at this moment in time, so that’s why I’m announcing yet another competition for my loyal readers. Details are below. 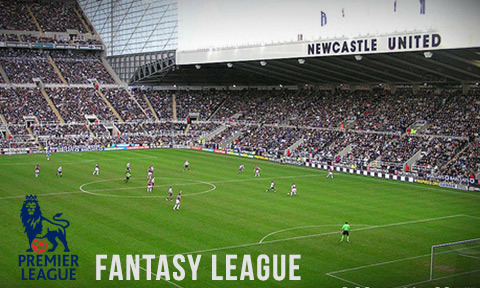 Many of you will have joined multiple Fantasy League’s since early July, but how many of them actually offer cash prizes to the winners and highly placed players? Not too many you’ll find, unless you’re dealing with a major company. However, I’ve decided to offer up some of my hard earned cash to give not only the winner of Tyne Time’s newly created fantasy league some dosh, but to second, and the third placed member as well. If you know you’re football and I’m sure many of your have played it in the past like myself, then you stand a decent chance of netting some money at the end of the season. It may not seem like huge money, but with the click of a button you stand a chance of winning - we don’t ask you to share anything on Facebook or any jazz like that. However, if you would like to check out our Facebook page you can do so here. I’ll likely be hovering around midtable before making a late surge for the Top 6 come May. Wouldn’t it be great if Newcastle United did exactly the same this season? Again, click to join and best of luck to you all!